pretty.pretty.paper: and a few for our kitchen. 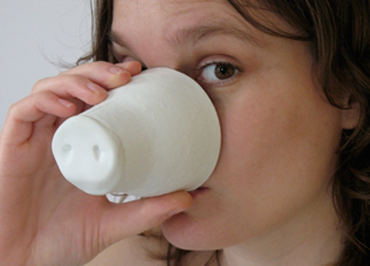 i've been obsessed with jorine oosterhoff ever since i saw her tea set (one day i will own the entire thing) but now she has to add snout cups? oof is she trying to KILL ME? i would like one of each please, thank you very much. This cracked me up! This is just too cute! Now I will buy that duck hook for my bawthroom and it will be all your fault.